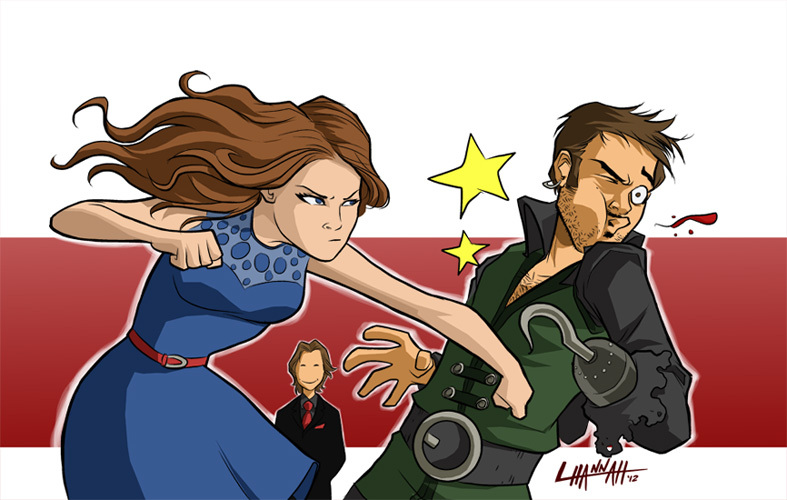 Belle & Captain Hook. . HD Wallpaper and background images in the 원스 어폰 어 타임 club tagged: once upon a time season 2 captain hook killian jones belle mr. gold. This 원스 어폰 어 타임 fan art contains 애니메이션, 만화, and 만화책. you go, Belle! women should not accept to be hit by men!